Vacuum casting is an adaptable technology for producing industrial components and consumer products. From producing small and large components, it is also used for engineering manual and high-efficiency automated systems. It is best suited for fulfilling the requirements of high-quality, plastic components in low-volume. This technology is applicable for producing vacuum casting products for automotive, consumer, healthcare, and diverse industries and fields. Vacuum casting services allows generating plastic products with consistent thickness, high dimensional accuracy, aesthetic appeal, and smooth finish. 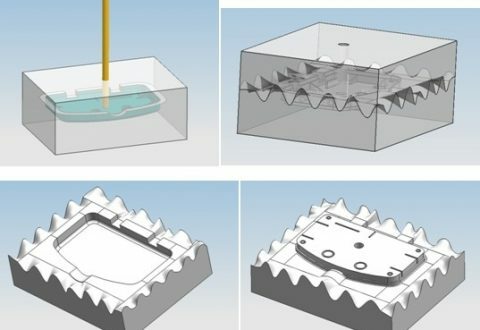 Rapid prototyping using vacuum casting process is ideal for a range of polyurethane resins to duplicate the thermal, mechanical, and physical properties of components. First, prepare a 3D model in a CAD software that is identical in shape and size of the intended component. This model is for preparing a master mold, which is covered in a silicon rubber and applied vacuum to cure in an oven at 70ºC. Since the silicone mold has to be split-open to take out the finished product, taping it makes it easy. For that, set a parting line that will help in opening the silicon mold. Prepare a box of wooden board matching to the size of the pattern. You can even use an aluminum plate. Suspend the taped pattern stuck with a spruce rod in the wooden box. Ensure that the box is steady in the box. Place the box into the vacuum machine to vacuum it so that the silicone is free of bubbles and air. Cure the box under 40ºC in the oven. The time for curing will depend on the size of the pattern. Take out and cut off the cured mold. Then split-open the mold with a knife from the edge of tape joined to the part. Preheat the mold into the oven at 70ºC. Take it out and wipe with an air gun. You can even use spray to remove release agents, if any. 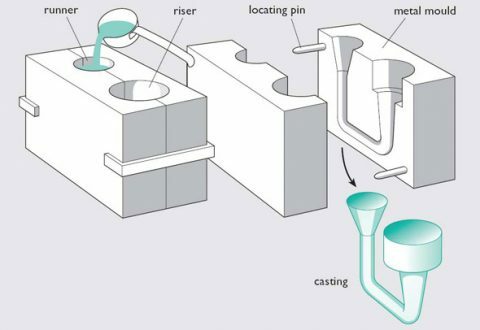 Then join the mold, measure the weight of the resin, and vacuum it in the vacuum casting machine for a maximum 10 minute. 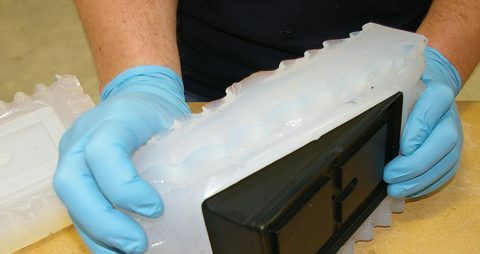 Allow the resin component to mix at lease for one minute and cast it into the mold. After curing process is over, take out the casting part from the mold and wipe out the fragment. For high quality polyurethane vacuum casting process and low cost molds, avail services of 3D Spectra Technology. This vacuum casting company in Pune offers a gamut of engineering solutions from rapid prototyping to 3D scanning.